Philips at CES 2015 | What Hi-Fi? CES 2015 saw Philips show off its diverse range of new audio products. Discover all you need to know about about Philips' new headphones, home cinema, streaming speakers and Bluetooth products, launched at CES 2015. With CES 2015 honourees in its ranks of Bluetooth speakers, Philips has something for everyone: from small to big, colourful to serious and simply ingenious to feature-packed. See the video of the FL3X, ShoqBox Mini and Wireless Home speaker below. 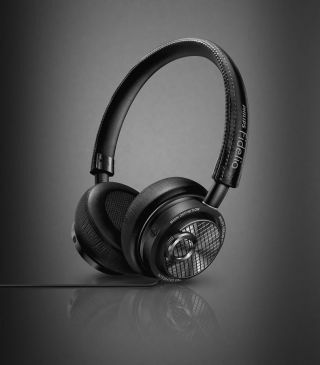 The Philips Fidelio M2L on-ear headphones connect to Apple devices via the digital Lightning port, taking audio from that output rather than the traditional headphone jack, and feature a high-quality 24-bit DAC and amplification within the headphones themselves. The Philips Soundstage Speaker HTL5130B (also known as a soundbase) produces 150W of 3.1 channel sound and will sit neatly underneath TVs up to a size of 55 inches. Its patent-pending WaveFlector tech uses specially developed sound reflection architecture to produce the widest sound field and larger listening sweet spot. For the audiophile traveller, the on-ear Philips Fidelio NC1 headphones offer active noise cancelling with premium comfort and a long battery life of 30 hours. Also on show are the Philips Spotify multiroom speakers which are equipped with Spotify connect for seamless transition between listening on your smartphone to listening at home, as well as a handy 'one touch play' button. The Philips Fidelio B5 soundbar speaker has been awarded a CES 2015 Best of Innovation award thanks to its ability to transform from soundbar to surround system thanks to its clever detachable wireless rear speakers.